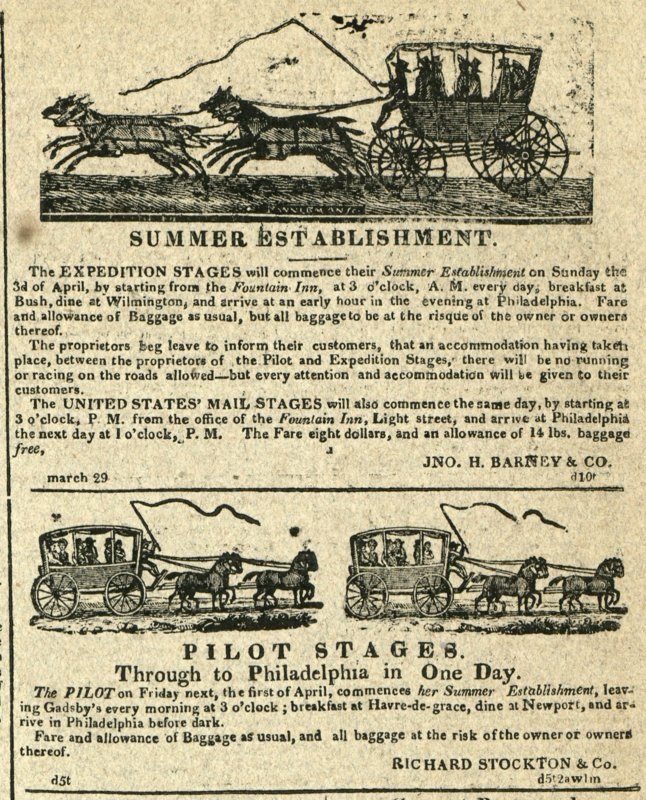 Advertisement: Summer Establishment. Pilot Stages. Through to Philadelphia in One Day.